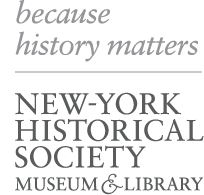 In November 2015, Time Inc. donated its expansive and historically significant archive to the New-York Historical Society’s Patricia D. Klingenstein Library. Comprising more than 7,500 linear feet of an estimated seven million documents and artifacts, the Time Inc. collection provides a detailed perspective of 20th-century history and Time Inc.’s media empire, offering an extraordinary level of documentation and information for researchers. A team of archivists is currently organizing and re-housing the entire collection for use by researchers. The finding aids created to date may be accessed via the list of archival finding aids below. Additional finding aids will be posted as they become available. See the Library’s collection request system for instructions on how to request material using a finding aid. Researchers may also use the full-text searchable database for archival collections as well as the library’s online catalog to identify portions of the collection relevant to their research. With a few exceptions, the Time Inc. Records are stored offsite. Requests made for offsite material will be confirmed by public service staff via email. Please allow up to five business days for material to be delivered, after which it can be kept on hold for up to four weeks. For specific questions about the Time Inc. Records, please contact: timereference@nyhistory.org.